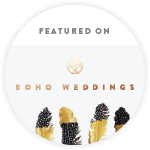 We blogged some tips for the bride for the best prep photos, which you can read HERE. 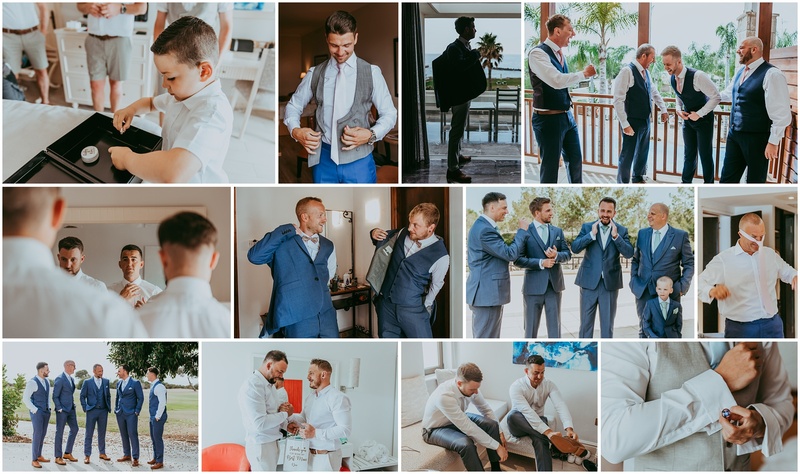 Seeing that the wedding day is about both the bride and groom, we thought it’s fitting that we focus on the groom too with some tips for the best groom prep photos. 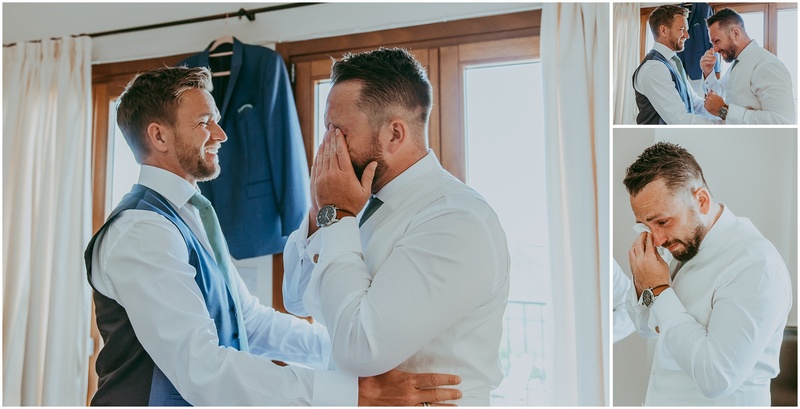 The chances that a groom will be reading this is quite small, so if you’re a bride, show hubby-to-be these tips. You want to feel fresh, clear minded and ready for the day you marry that special lady in your life. The area where you are getting ready should be clean and tidy. Remove unnecessary items like towels, empty bottles or boxes, ashtrays, dirty clothes etc. You want your photos and video to look amazing without clutter and mess. It’s usually a few hours once you start getting ready before you can eat again, so make sure you have a good hearty breakfast to keep you going. We love details! Bring on the man-accessories. 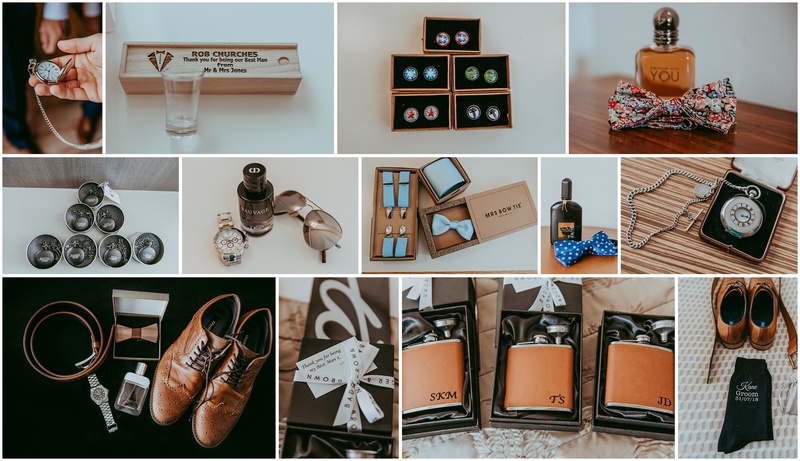 Make sure you have your shoes, belt, tie, cufflinks, watch, cologne, sunglasses and anything else that is part of your attire or sentimental all together for us to photograph. Try and have your entire groom squad with you. 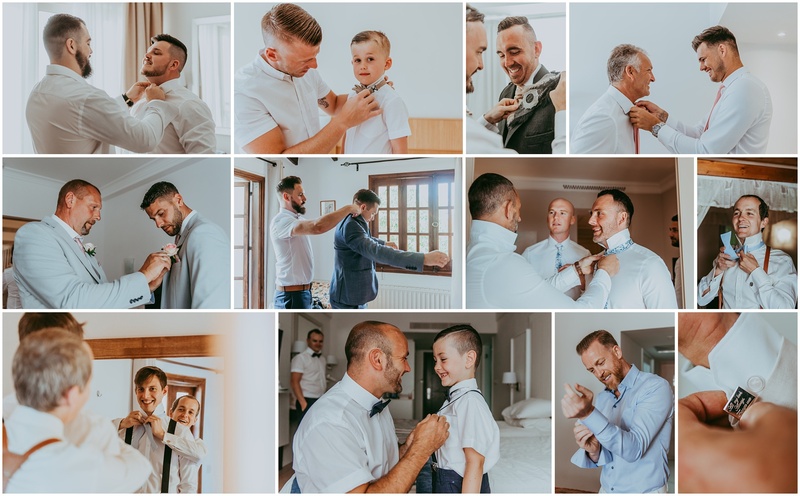 It’s more fun getting ready with the boys! Ties can be tricky – watching a tutorial on Youtube 10 minutes before you have to leave is going to add more stress to your morning. 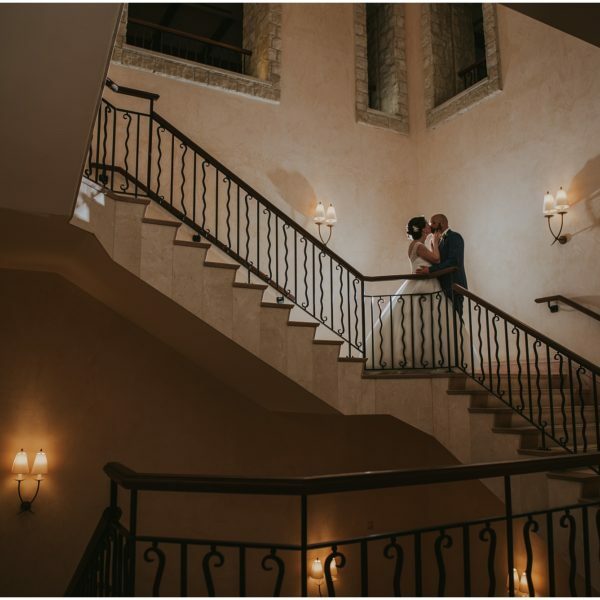 Learn how to do it before the wedding day. Also remember buttonholes should be on the left. Be sure to have your shower before we arrive as it would take away precious shooting time with you to have to wait for you. Be dressed in your trousers and shirt and you can continue getting dressed when we arrive. 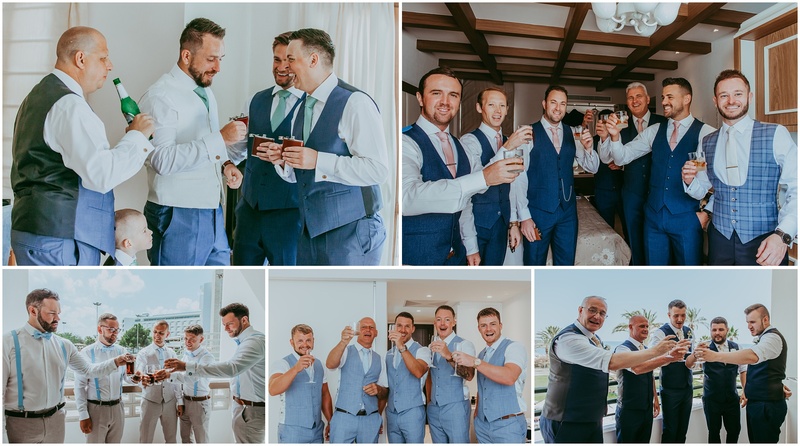 Many of our groom preps involve a few beers or shots with the boys. We actually encourage having a drink or two to take the edge off, however whilst it’s fun and make for good photos and video, we urge you not to cross the line with too many drinks. Nothing ruins a wedding ceremony like an intoxicated groom. Moments where you wear your heart on your sleeve is so precious. Your wife will be so touched when she looks back at the photos and video and see you were also feeling overwhelmed with emotions. This goes for the whole day too. Show us your emotions, we will be ready to capture it! 9. Don’t rush – enjoy time with the boys and have fun! Above all, have fun! Don’t rush, take in the moments and enjoy the time with your close mates!